In the first of this series of articles, I dealt with a topic – the piano concertos of Johann Hummel – that I knew very well. Here, I am the one getting to know this music. He is considered by many as the finest Polish composer after Chopin, and was also a highly regarded concert pianist. He was born into the Polish landed gentry in what is now the Ukraine, but what was then part of the Russian empire. He studied in Warsaw, but had little opportunity for a musical career at that stage. He travelled widely, and some of his experiences in Africa and the Middle East undoubtedly influenced his compositions. His compositions are said to fall into three periods – Romantic, impressionist-expressionist and folk-influenced. The works considered here come from each stage. He was not particularly prolific – his final work has the opus number 62 – and relatively short-lived, dying of tuberculosis at the age of 54. There are four symphonies and two violin concertos, though the fourth symphony, subtitled “Symphonie Concertante” might well have been titled Piano Concerto, given the significant role required of the soloist. This is music written in the world created by Wagner, Mahler and Debussy. It is Romantic music taken to its breaking point; some might say past. The huge middle-period scores of Richard Strauss, such as the Alpine Symphony, are another reference point. The word “perfumed” is used often to describe his music. I take this to mean that it is rich, overpowering and even cloying, but beautiful at the same time. Don’t expect the glorious melodies that one finds in Wagner (among the hours of much harder going) or the heartrending passion of Mahler. This is a difficult one, as I don’t find that one work leaps out ahead of the others. Using the number of recordings as a means of identifying one, the Violin Concerto No. 1 with around 30 comfortably leads the way. It is followed by the second concerto and the latter two symphonies with around 20 each. I’m going against the popularity stakes, and nominate Symphony No. 2. It marks the culmination of his first period, and as such, is more familiar territory for someone coming from Strauss, Wagner and Mahler. The following works – the first violin concerto and third symphony – are very different in style, and starting with them would be akin to taking your first steps into Stravinsky with Dumbarton Oaks. Like all his mature orchestral works, it is not conventional in form. It has only two movements, the second being a set of theme and variations. The theme itself is serenely beautiful, and some delightful dance sequences among the variations. There is more light and shade here than in the later works, which are certainly more original, but are much denser. 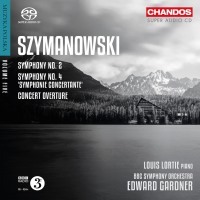 While recordings of the Szymanowski symphonies are not plentiful, they are generally well done, it would seem from reviews. The Naxos recordings from Poland under the direction of Antoni Wit have been well received, and provide a budget way of testing the Szymanowski waters. The recently completed cycle from Chandos with Edward Gardner are probably better performed, but obviously more expensive. A word to the wise: listening to sound samples from the various online sites will achieve very little here – it is impossible to get a sense of the scale of this music in 30-60 seconds. 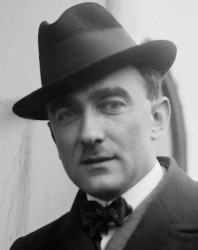 Most Szymanowski aficionados consider the Stabat Mater to be his masterpiece, so perhaps that should be your next port of call. The Simon Rattle EMI recording of the 1980s is very highly regarded. Of the works considered here, it probably depends on your preference: you have a choice between violin concertos, a vocal/choral symphony and a piano “concerto”. The latter – the Fourth Symphony – is my preference. It is from his folk-influenced period, but it seems to me that you would need a good working knowledge of the folk music of the Tatra Mountains in southern Poland to recognise that. If anything, it reminds me of the jazzy movements of the Ravel piano concerto. If you opt for the violin concertos, it makes sense to go with the crowd and start with the First: just don’t expect Brahms and Bruch! I have recordings by Nicole Benedetti – she won the Young Performer of the Year playing the Szymanowski First – and Thomas Zehetmair with Simon Rattle, one of the EMI Penguin Guide Rosette series. It would be hard to go wrong with either, but with the latter, you get both concertos. A recent recording of both concertos by the young Latvian violinist Baiba Skraide has bene highly praised. The best way to get all of these "Which next?" 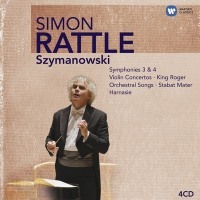 works is a 4-CD collection at budget price with Zehetmair's concertos, the Stabat Mater, symphonies 3 & 4 and other works from Sir Simon Rattle (Warner 5145762).